Two Rivers Gallery presents the work of two local artists: Tamara Aupaumut and Jeremy Pomani. Two Rivers Gallery, 1530 E Franklin Ave, Mpls. For info, contact: cthompson@maicnet.org. Carceral Colonialism: Imprisonment in Indian Country. Settler colonialism has involved denying Native people sovereignty and access to land and resources. It has also produced high rates of incarceration of American Indians in Minnesota and the US. For over two centuries, American Indians have been forcibly removed from their lands and home through unfair treaties that created the reservation system; systemic violence and warfare, the takeover of tribal jurisdiction, and taking children from their families and placing them in boarding schools. Mass incarceration continues this pattern of removal by displacing Native people from communities and transferring power to others through gerrymandering and other means. Public dialogues and events. Runs thru February 18. For info, see: https://statesofincarceration.org/states/minnesota-carceral-colonialism-imprisonment-indian-country. The Three Snow Bears is a musical done in collaboration with New Native Theatre. Inspired by THE THREE SNOW BEARS by Jan Brett. Script written by Rhiana Yazzie in collaboration with Alicia Smith and Grace Smith. Music composition by P. Ossie Kairaiuak. Ride along with us this winter through the magnificent Arctic landscape as a young Yup’ik girl embarks on a heroic sled-dog journey to save her village. On the search for the reasons of the widening river she meets a raven, a hare, a baby seal and finally, three snow bears. Join us as an endearing Baby Bear and a determined Yup’ik girl meet center stage in our world premiere musical. Stages Theatre, 1111 Mainstreet, Hopkins, MN. For info, see: www.stagestheatre.org/ upcoming-shows/2018-2019-season/three-snow-bears. Learn and share Native crafts that are passed down from generation to generation. Most materials provided, snacks provided. Noon to 4pm. 214 W Franklin Ave, Mpls. For info, call 612-813-1590. The Metropolitan State University Library Events Committee and the Institute for Community Engagement and Scholarship present: “Ohiyesa: The Soul of an Indian”. Film screening and moderated discussion with Syd Beane and Kate Beane. The documentary follows Kate Beane as she examines the extraordinary life of her celebrated relative, Charles Eastman (Ohiyesa). Biography and journey come together as Kate traces Eastman’s path from traditional Dakota boyhood, through education at Dartmouth College, and in later roles as physician, author, lecturer and Native American advocate. The film is a profound tribute to the life of Ohiyesa, and, as executive producer Syd Beane says, “a truly American story.” Free and open to the public. Light refreshments will be served. 6pm-8:30pm. Metropolitan State University, Film Space, Founders Hall Auditorium, 387 Maria Ave, St Paul. For info, see: www.visionmakermedia.org/films/ohiyesa or contact Dawn Wing at 651-793-1851 or dawn.wing@metrostate.edu. March for missing and murdered Indigenous women. 11am to 2pm. Wear red and bring banners. MAIC, 1430 E Franklin Ave, Mpls. For info, see: www.allmyrelationsarts.com. 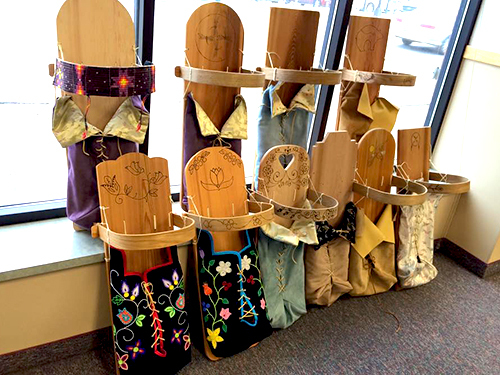 Bring Her Home: Stolen Daughters of Turtle Island exhibit will highlight the ongoing epidemic of Missing and Murdered Indigenous Women. The exhibit will feature selected Native artists of Turtle Island, and features works from established Indigenous artists Jaune Quick-to-See Smith, Karen Goulet, and Angela Babby, alongside emerging artist. The exhibht shares visual stories of the impacted women and families affected by the ongoing epidemic of Murdered and Missing Indigenous Women. A reception will be held on Feb. 14 at 6pm. All My Relations Gallery, 1414 E Franklin Ave, Mpls. For info, see: www.allmyrelationsarts.com. Indigenous educator Jim Rock will give an interactive presentation and tour at the Bruce Vento Nature Sanctuary, focusing on the sacred Wakan Tipi Cave, Dakota astronomy, and the Waníyetu (winter) season. We’ll meet at the entrance to the sanctuary. Warm up with a campfire, hot beverages, and great conversation! 6:30 – 8pm. Bruce Vento Nature Sanctuary. The mcee will be “Pebaamibines” Dennis Jones. Storytellers include Dorene Day, Sharon Day, Carol Charging Thunder, Barry Hand, and Hope Flanagan. Drum Group: Ringing Shield. Free and open to the public. Food will be served. Helland Center, 1501 Hennepin Ave, Mpls. For info, contact Randy.Gresczyk@minneapolis.edu. The Walker Art Center announced the launch of an Indigenous Public Art Commission, a project inviting artists’ proposals for a new public artwork for placement in the Minneapolis Sculpture Garden or a location on the Walker campus planned for the fall of 2020. A free info session will take place from 6 to 7:30 pm, at the Walker Art Center, 725 Vineland Place, Mpls. Info at: walkerart.org/public-art-commission. Bockley Gallery is pleased to announce its first exhibition of 2019, Jim Denomie: Standing Rock Paintings, which comprises three large-scale, oil on canvas paintings and a series of smaller, but related, portraits. With this body of work, Denomie has cast his discriminating eye onto real-world events, specifically the Dakota Access Pipeline (DAPL) controversy and protest that erupted in August 2016, near the North Dakota Standing Rock Indian Reservation. Opening Reception: Feb. 22, 6 to 8 pm. 2123 W 21st St (west of Lake of the Isles, near Franklin), Mpls. For info, call 612-377-4669. Cherish the Children Traditional Powwow. 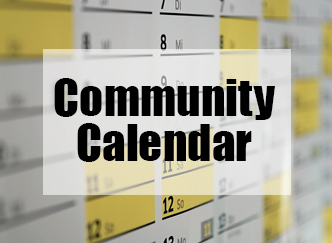 Mark your calendars as we once again host numerous specials and fun activities. Powwow dance specials – 17 years and under, 2 step specials, ambassador contest, 50/50 raffles throughout the weekend. Feast on Saturday at 5pm. Central High School, 275 Lexington Ave. St. Paul. For info, contact Travis DeCory at travis.decory@adycenter, or Holly Henning holly.henning@adycenter.org. Leech Lake Twin Cities Local Indian Council meets monthly on the last Tuesday of each month. We will spend time reviewing the needs, opportunities and services for band members here in the Twin Cities Metro Area. Reservation Tribal Council often visits the Local Indian Council to share news and answer questions. 5:30-8 pm. MIWRC, 2300 15th Ave S, Mpls. For info, contact Shannon Nordby at 612-229-1986. The Native American Journalism Fellowship (NAJF) applications are now open to current American Indian, Alaskan Native, Native Hawaiian and First Nations college students, undergraduate and graduate, pursuing journalism and communications degrees. NAJF is an opportunity for students to deepen and broaden their reporting and multimedia skills, while learning from Indigenous journalists and news industry professionals. The deadline to apply is Feb. 28. Apply at: https://najanewsroom.com /2019/01/02/native-american-journalism-fellowship-applications-now-open. The 16th Annual Indigenous Farming Conference, Aanji-bimaajitoon Gidibaajimowininaan, Revitalizing Our Story, sponsored by the White Earth Land Recovery Project. And the 2nd Annual Indigenous Hemp Conference will take place. Learn about a wide array of topics and discussions such as community land revitalization, food sovereignty initiatives, tribal food and farm policy, Indigenous Seed Keepers Network, native agricultural techniques, tribal college extension programs and much more! Also feature a youth track, story-telling, films, and hands-on demonstrations. Confirmed presenters include Martin Reinhardt (Anishinaabe), Valerie Segrest (Muckleshoot), Reginaldo Haslett-Marroquin (Maya), Jim Chamberlin and Zachary Paige, Winona LaDuke (Anishinaabe), JoDan Rousu (Anishinaabe), Linda Black Elk (Standing Rock Dakota), Jessica Greendeer and Claire Luby (Ho-Chunk), Ed Spevak, Rowen White (Akwesasne), Kevin Finney, Sean Sherman (Oglala Lakota), Elizabeth Hoover (Mohawk/ Mi’kmaq), LeAnn Littlewolf (Anishinaabe), and others. Before the start of the Indigenous Farming Conference, join us for a day of learning, networking and workshops on February 28th. Local and regional hemp experts will join us to discuss the potential of hemp for tribal economies. Topics include cultivation and varieties, refining, and value-added products, and tribal regulations. For info, see the White Earth Land Recovery Project website: http://welrp.org. Registration is open through February 22. We are currently accepting application for our Fall Native American Fellowship. There is no fee to apply, and if selected, the Fellowship will provide up to a one-month residency at Ucross and a stipend of $2,000, supported by the Andy Warhol Foundation for the Visual Arts. Applications submitted online at: www.ucrossfoundation.org. For info, contact Tracey Kikut at tkikut@ucross.org or 307-737-2291. Through a partnership with the US Department of Education’s Office of Indian Education, Claremont Graduate University will award selected Native Americans with a generous support package to help them earn a California preliminary K-12 teaching credential and master’s in education in as little as 15 months. 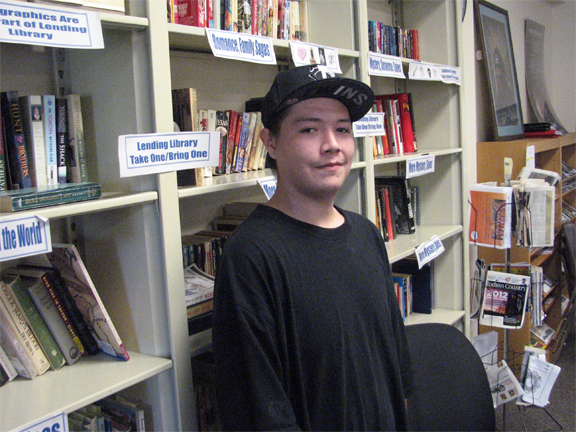 The fellowship provides selected Native American students with full tuition support and a stipend for living expenses, in addition to a year of mentoring once they complete the program, so that they emerge as teachers prepared with the skills needed to promote educational excellence in their communities. Applications due on March 1. For info, contact: Rachel Camacho at 909-607-9418 or Rachel.camacho2@cgu.edu, or Heidi Martinez at 909-607-8982 or Heidi.martinez2@cgu.edu. The one-year fellowship helps reporters complete their first substantial work of investigative reporting by providing a $16,000 award and editorial guidance from program director and senior editor Alissa Figueroa. Fellows will also receive funds to cover travel and other reporting costs, and the costs associated with attending the annual Investigative Reporters and Editors conference, as well as a one-week data reporting boot camp. They will enjoy access to research resources, legal assistance, professional mentors and assistance with story placement and publicity. Fellows are expected to publish or air their findings in a U.S. media outlet within one year of the start of the fellowship. We’ll be selecting five fellows for 2019. This fellowship is a one-time educational opportunity and is non-renewable. Journalists of color are strongly encouraged to apply. For info, contact: Alissa@typemediacenter.org. Or see: www.typeinvestigations.org/about/special-funds/ida-b-wells-fellowship. A full-length play following the story of Tashina and Tiffany as they try go through the good, the bad, the funny, and the spiritual – as they to figure out how to get through four years of college. The play is by Alex Hesbrook (Cheyenne River). Hours: Wed-Sat at 7:30pm, Sun at 2pm. Dreamland Arts, 677 Hamline Ave N, St Paul. Tickets available at Dreamland Arts at 651-645-5506 or info@dreamlandarts.com. More info at www.newnativetheatre.org, info@newnativetheatre.org, or 612-367-7639. Institute aims to get indigenous students acquainted with UofMN-Twin Cities campus, facilities, students, faculty, and staff. We want to foster an early sense of ease and familiarity on college campuses that will make the transition into higher education easier for students. Students will stay in a residential hall on U of M campus and spend 6 days attending classes and workshops on college prep, admissions, financial aid, professional development, ACT prep, cultural knowledge, and various academic areas. AISI is open to all high school students who will enter grades 8-11 in the 2019-20 academic year. Tentatively TBD: July 28 – August 03 and/or August 04 – August 10. AISI is a FREE program. Housing and meals are provided. The deadline is on April 1, although we will accept applications on a rolling basis until May 13 where we will then send out final notifications For info, contact: aisi@umn.edu.